Write Ray! : Great 2016 Show at Abbotsford! Last Wednesday, my doctors gave me the OK to attend the Abbotsford Air Show this past weekend. I was very pleased. What a super show! The show and the Abbotsford Airport were celebrating the 75th anniversary of the British Commonwealth Air Training Plan. That airport was actually built as part of the BCTAP along with hundreds more located mostly across Western Canada. The Royal Canadian Air Force joined in by painting it's demonstration CF-18 Hornet in that yellow and black color scheme of those old Second World War trainers. Even the folks from our present training base in Moose Jaw, Saskatchewan, got involved by painting up a couple of the new training aircraft in those same colors from WWII. They were all in the sky over Abbotsford making for a most memorable show. 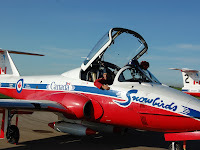 Of course a couple of the highlights for me was the flight of the Snowbirds and Alberta's own Team Rocket! Ken Fowler from Rock Mountain House and Eric Hansen from Cold Lake make up the team. They did a night show Friday evening that has no equal, then their exciting day show each day over the weekend thrilled everyone! 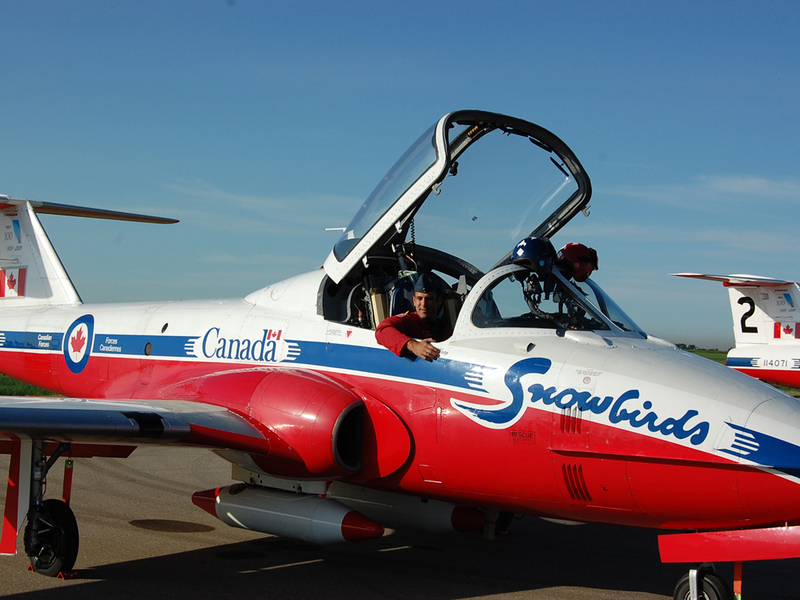 It was good to see Ken's son Kyle join the fray as a new upcoming aerobatic pilot in the morning show! Way to go Kyle! I missed not seeing Canadian Bud Granley and his son Ross at this year's show. Obviously scheduling conflicts were preventing them from attending. 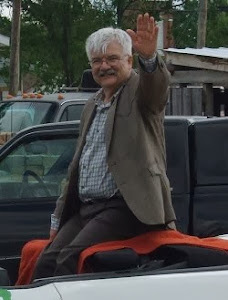 Bud has always been a huge part of the Abbotsford show. Many of us missed him there this year. Overall it was fantastic show and it leaves me anxiously waiting next year's show; the 54th by my count. As my website gets its much needed update, I will have a complete write up on the 2016 edition of the Abbotsford Air Show there with some of my photos!